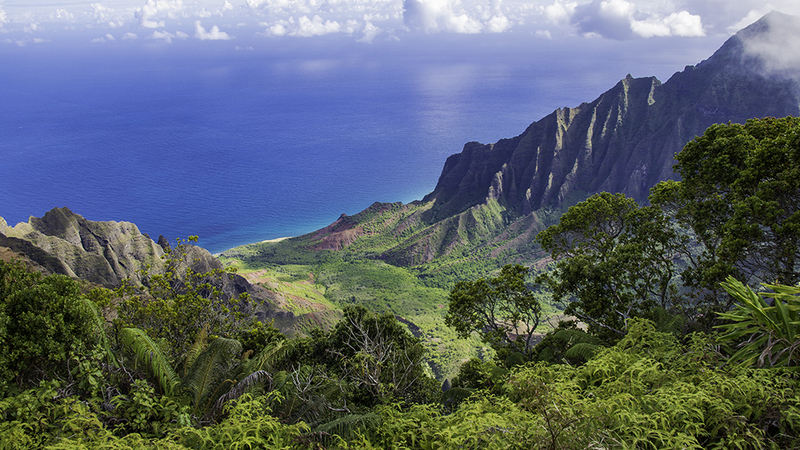 Scenic Kalalau Valley, one of the places you should see while staying at Kauai hotels. Kauai has a beautiful array of hotels scattered across the island. Visitors can find some of the finest Kauai hotels near the largest town of Lihue and in resort areas like Princeville and Poipu Beach. Wherever you want to rest and rejuvenate, there will be one of many Kauai hotels exactly suited to your taste. 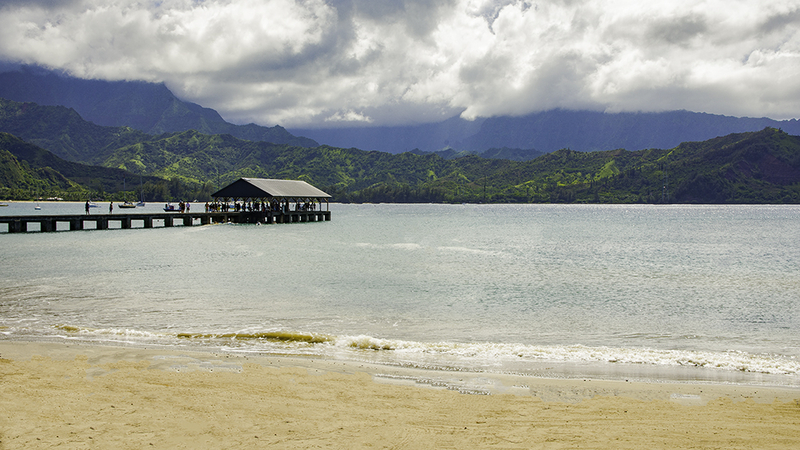 Kauai’s accommodations range from award-winning properties to private bungalows and condos. Often, they come with tennis courts, pools, spas and a wide range of amenities. At many hotels, families can find vacation packages with children summer fun programs. As an example, the Grand Hyatt Kauai, Resort and Spa has classes where kids can learn lei-making, hula or Hawaiian crafts. Also kids can feed koi (carp) or explore tide pools while parents enjoy a romantic meal near the beach. Each Kauai hotel provides something unique. As a result, we are confident you will find the perfect accommodation for your Kauai holiday. For those seeking adventure, Kauai offers a wide range of outdoor experiences. Kauai has the State’s most waterfalls, and rivers. Plus, it has 50 miles of beaches and some of the highest annual rainfall in the world. Further, Kauai is well-suited for vacationers who love the water sports or enjoy nature. Families can hike in Waimea Canyon, explore lush Fern Grotto or fly over the spectacular Na Pali Coast. Or zip-line over the island’s rain forests. Go on a film location tour. Ride horses on the beach. You can see that the list of activities on Kauai is endless. Panda ® Online offers one of the largest selection of Kauai hotels at some of the most competitive prices. Also, Panda ® Online can combine flights, hotels, rental cars, and activities into your perfect vacation package. We are the largest travel wholesaler in the State of Hawaii. As a result, we can pass on great savings on all-inclusive travel packages to our clients. Need to book Kauai hotels or packages at the best possible prices? If so, check out the savings we can offer you on Panda ® Online. 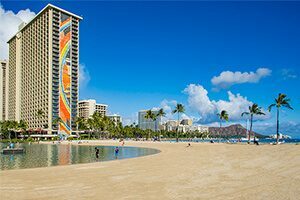 The majority of Oahu hotels and resorts are in and around Waikiki. Options ranging from condos, budget hotels, to luxury resorts and everything in between. Let Panda Travel ® help you book the perfect lodgings for your trip to Oahu. Hotels and resorts are not difficult to come by on the island of Maui. 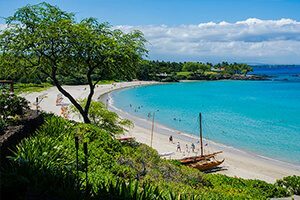 It is one of the most popular destinations in Hawaii. 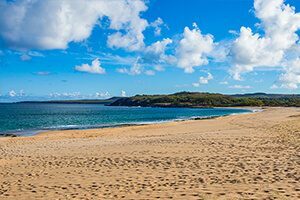 Maui offers a wide range of lodging options. This includes a variety of resorts and hotels with varying levels of luxury. The Big Island offers a large selection of hotels. Whether you are looking for a place to just spend the night or would like to experience the full spectrum of luxury that the Big Island has to offer, we can help you book the right accommodations. Molokai is the island for those who like to shun convention while exploring the unknown. As such, it is the only Hawaiian island that does not have a major resort. However, there are plenty of accommodations from boutique hotels as well as bed and breakfasts. Lanai is the place for people who want luxury as well as privacy. 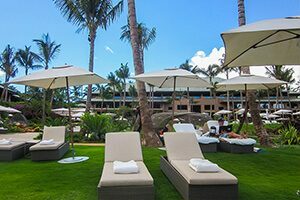 The islands has two high end properties that can satisfy the most discriminating taste in hotel accommodations and amenities. But luxury doesn’t mean you can’t rough it. The island has much for those who enjoy the outdoors.